For some employees of General Motors' (GM) Toledo, Ohio plant, simply going to work felt like a matter of life and death. Not because their work was especially dangerous but because for more than a year, other employees taunted and threatened their lives on a daily basis. Marcus Boyd an African American supervisor at the Toledo Powertrain says he and his fellow black colleagues were harassed constantly by hostile white employees. They addressed him and others as "boy" or "monkey" or the N-word, they posted signs on the bathroom that said "whites only," and they even left nooses around the workplace — something that Boyd and others took as a blatant death threat. 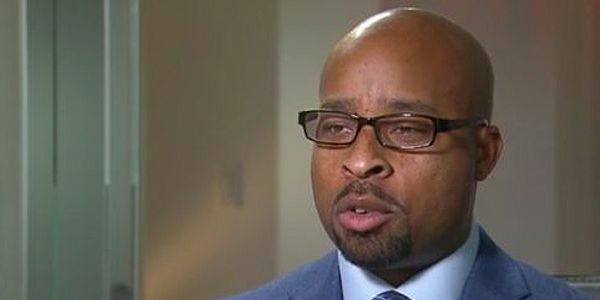 Boyd and other employees told GM about the ceaseless harassment but GM ignored their pleas, never firing offenders and rarely even disciplining them. The company's apathy towards the hostile environment told white workers that it was a non-issue and their racist aggression towards employees of color continued until finally, it was too much. After 14 months Boyd decided it wasn't worth it. He quit his six-figure salary job choosing his sanity over his pocketbook. Like sexual harassment at the workplace, employers have a duty to protect their workers from violence. But time after time, when Boyd and others approached GM about the rampant racism in the workplace they were told to handle it themselves or were completely ignored. GM should be ashamed of itself for the way they allowed their own employees to be treated. And they should take action against the managers and plant supervisors that allowed it to happen. GM has an obligation to investigate these allegations, find the racist bullies who perpetrated and ignored this disgusting behavior and fire them. Sign the petition and show GM that racism is no laughing matter. Help demand justice for the harassed employees of the GM Toledo plant.